If ever there was a woman who was born to be an actress it was Anne Bancroft. Born in 1931 and raised in the Bronx, Bancroft was second generation American from sturdy Naples stock and her heritage was obvious from her given name: Anna Maria Louisa Italiano. The acting bug bit at a very young age and Anna would find any excuse to entertain. She could sing, dance and act and along with her God given talent she was also incredibly driven. She didn't waste a minute getting started on her new found profession. Fresh out of high school, she attended the American Academy of Dramatic Arts and studied under Lee Strasburg. She got her first professional acting role, complete with a new name, Anne Marno, in the live television show Torrents of Spring. Eventually she dropped Marno for Bancroft and headed for Hollywood. Her ultimate goal was to be a movie star but her career would take her down a long and winding journey from TV, to Broadway and to Hollywood and back again. Even with the ups and many downs of her acting career, Bancroft never lost the passion and fire that drove her to pursue her art. "The major studios were moving toward shedding their contract talent in the face of financial uncertainty. The independence that came with picking and choosing roles could not be separated from the loss of security represented by regular employment." Relegated to small roles in films like Don't Bother to Knock (1952), her film debut, or B-movies like New York Confidential (1955). Bancroft didn't fit a mold and while Hollywood struggled place her in roles that suited her talents. It was Bancroft's stage work that breathed new life into her film career. She had successful runs on Broadway with Two for the Seesaw, co-starring Henry Fonda, and The Miracle Worker, with Patty Duke. She lost the film role for the former but managed to get it for the latter and eventually went on to win the Academy Award for her role as Anne Sullivan. More parts came and went. 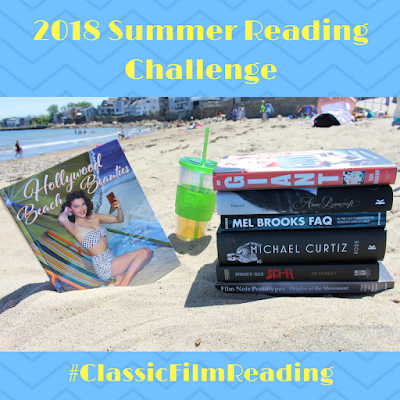 In Daniel's biography, we learn about her work in The Slender Thread (1965), 7 Women (1966) and others leading up to her break out role as Mrs. Robinson in The Graduate (1967). That film immortalized her but didn't necessarily boost her career. Other notable films discussed include The Hindenburg (1975), Fatso (1980), which she wrote, co-starred and directed, The Elephant Man (1980), Garbo Talks (1984), Agnes of God (1985), 84 Charing Cross Road (1987) and more. Bancroft's personal life was harder to pin down. She treasured her privacy and was adamant about keeping a work-life balance. In the biography reader learn a little about her first marriage to Martin May, a strange union that would end almost as soon as it began. 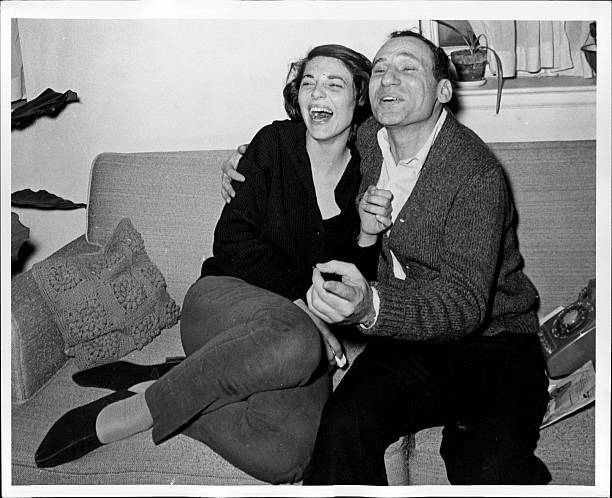 Bancroft went on to find happiness in her second marriage to actor/director/producer Mel Brooks. They met while Bancroft was performing on the TV show Kraft Music Hall and immediately hit it off. Brooks and Bancroft collaborated on projects including Silent Movie (1976) and To Be or Not to Be (1983). Brooks achieved a level of success that Bancroft did not. She scaled back to one project a year after the birth of their only child Max only to realize later that career and motherhood could go hand in hand. Brooks and Bancroft seemed like an odd pair but their relationship worked on many levels. They were intensely private about their personal lives, had strong work ethics, respected each other as husband and wife and as performers. They were married until her death in 2005 and Bancroft worked up until the very end. Even as the roles got smaller and projects felt more stifling, her passion to be an entertainer never diminished. "People don't write wonderful parts for women because women have not been given a chance to live wonderful lives that people want to write about, and because most of the writers are men." 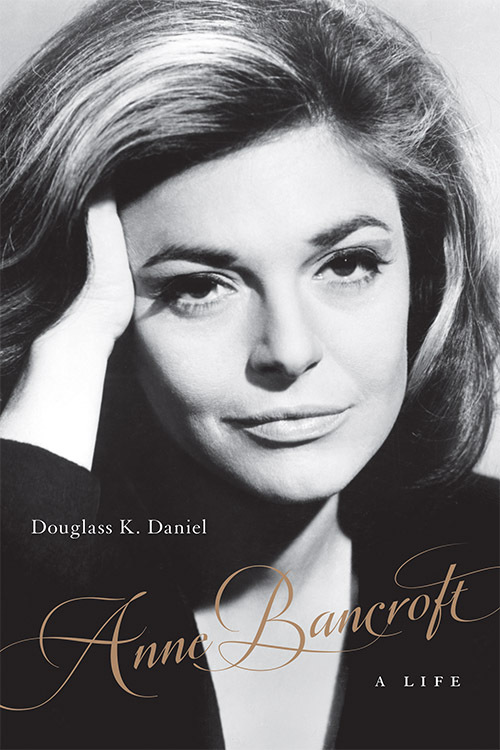 Anne Bancroft: A Life by Douglass K. Daniel is an extensive look at an actress who lived life on her terms and offers readers insight into a woman who battled to have the career she wanted. Thank you to University Press of Kentucky for sending me a copy of the book for review.